Kayla Pinnt grins from ear to ear after winning the 2016 state championship in the 4x100-meter relay. The former Moffat County High School runner was named Sportswomen of Colorado's All-Around Athlete for small schools and will be honored in March by the organization, which acknowledges female athletes in the state, from the high school to Olympic level. Kayla Pinnt is the first to acknowledge that while athletic skill is a blessing, it means little if the person is unwilling to put in the work to succeed. 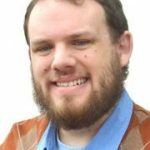 And, just like a lap around the track, the work that the former Moffat County High School student has put in has come full circle. The organization Sportswomen of Colorado — honoring female athletes from high school to Olympic level — recently announced that Kayla will be honored March 12 as All-Around Athlete, small school category in recognition of her senior year at MCHS. — honoring female athletes from high school to Olympic level — recently announced that Kayla will be honored March 12 as All-Around Athlete, small school category in recognition of her senior year at MCHS. Graduating from Moffat County in 2016, Kayla finished her time as a Bulldog competing in three sports: rodeo, basketball and track and field. In an altogether standout year for Lady Bulldog hoops, Kayla stood out as a state leader in steals in the sport, amassing 133, more than any male or female player in Colorado during the 2015-16 season. A short stint for the high school rodeo team in fall 2015 picked up the following summer when she tore up the Western Slope in barrel racing events. However, Kayla truly made her name for herself on the track, ending her high school career with 10 total state titles, seven in individual events and three relays amid a myriad of honors. Three years in a row she won the championship in the 100- and 200-meter dash, was twice part of a first-place 4×100 relay team and won one 4×200 relay, with school records in each race. To highlight her senior season, the seasoned sprinter broke a 3A state meet record in the 400 dash, which helped clinch her second consecutive 3A Athlete of the Year honor for high school girls track. And, though she enjoys reminiscing about the huge day last May, it was three years prior that still sticks out in her mind. Kayla entered MCHS in her freshman year as a transfer student from Billings, Montana, where she had some dark days. “I was really on the wrong path,” she said. Struggling to find her place among peers while living in Montana, she admits she fell in with the wrong crowd and abused and sold prescription drugs, including OxyContin and Adderall. She had more or less given up on school and sports — showing up high to basketball practices before quitting — and caused such concern that her parents abruptly moved the family to Craig. “If we hadn’t moved, I think I would either be dead or in jail by now,” she said, adding that she felt like she had hit rock bottom. Living in a smaller community took some acclimating, but Kayla found it a nice change of pace and was also working to clean up her act with the condition that she’d be able to be around her grandparents’ horses as long as she wasn’t on drugs. “In Craig, every person was really welcoming to me,” she said. She found her way back to athletics and was ready to get back into running. But, her attitude still wasn’t where it needed to be, she said, noting that throughout her freshman season she practiced infrequently with her team, gave minimal effort when she showed up and gave little respect to coaches who could see her potential. “I was very stuck on myself,” she said. One win after another throughout the 2013 season convinced her of her superiority, and by the time the state event rolled around, Kayla fully expected to take home the gold in the 100 and 200. From then on, Kayla resolved to do what it took to win the right way — treating her body better, listening to teammates and coaches and not taking victories for granted. In retrospect, the two silver medals from her freshman year mean as much to her as the 10 gold ones she went on to accumulate. 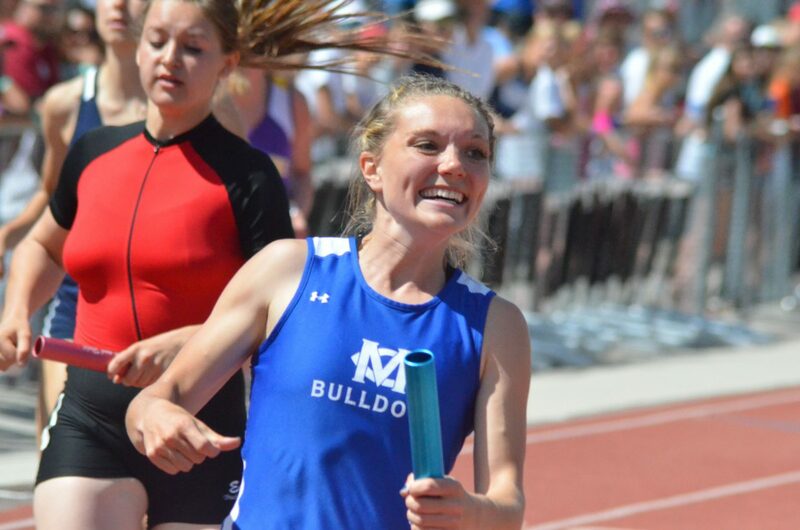 Moffat County’s head track coach Todd Trapp said despite a tough beginning that saw them at odds often, Kayla came to represent everything he could want in a competitor. In turn, Kayla said Trapp became as much a friend as a coach. Far from running from her past, Kayla acknowledges that her rough times helped make her the person she is today. She currently competes for Colorado State University track, in the midst of its indoor season. A strained hamstring in December slowed her down, though her recovery has made her stronger while adjusting to college sports, she said. Another hard part of this level is the disconnect from her support system, including her sisters Cheianne and Quinn Pinnt, who also served as Kayla’s teammates at MCHS. Kayla said older sister Cheianne joined track largely so Kayla would have a friend on the team when she started, while younger sister Quinn was Kayla’s motivator to stay the course and be a good example, the two sharing a gold medal in the 2016 state 4×100. Additionally, her mother, Cherissee Murphy, is a constant supporter. “She’s been there through everything with me, and I know she’ll be there through good and bad,” she said. Kayla said she wants to thank her family; basketball coaches Sam McLeod, Joe Padon and Chad Lawton; and the full track coaching staff at MCHS for getting her to this point, adding that the news of the All-Around Athlete award overwhelmed her, nominated by MCHS athletic director Rich Houghton at the bequest of Colorado High School Activities Association.